The advanced area allows you to select the code to use as a button builder to place into your existing website with the ability to change the button color. The HTML code can be copied and pasted to your existing site as an iframe or it can be linked. If you'd like to add a button to your current website that links over to this payment page, you can configure it here. Enter the label such as "Proceed to Payment Page" in the Label textbox. Select the background color for your button by entering the color's hexadecimal code, or by clicking the small square to the right of the textbox. Clicking the small square will open a color pallette, allowing you to select a color. Select the text color for your button by entering the color's hexadecimal code, or by clicking the small square to the right of the textbox. Clicking the small square will open a color pallette, allowing you to select a color. When satisfied with your button's design, copy the HTML code in the text area below the background color and text color boxes, and paste into your website. 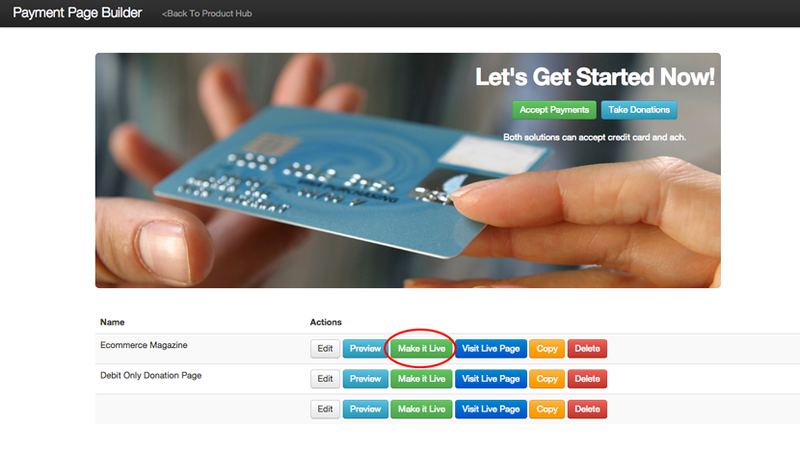 You have the ability to embed your payment page into an existing website with an iframe. To do so, just copy the code in the HTML to embed this page in an existing site text area, and paste it into your website.